I write and sell books but my mojo goes up just as much when I sell a book with a thirty-cent royalty as it does for one with several dollars. Same thing with the “likes” on facebook or my blogs. Thanks guys! It makes me feel strong when people give me a vote of confidence. Isn’t that why we fix our hair or plant pretty flowers? It’s all about the mojo …. Small towns make for big romance. Really, guilty or not guilty. We spend way too much energy on unnecessary guilt. What if we had an app that were designed to tell us whether we should feel guilty or not? We could get up in the morning, plug our thoughts into the app and then let go – or not. And before going to bed at night we could tap, tap, tap our worries into the app and it would clear our conscience – or not. And with the evolution of guilty or not technology would come Civil Court usage and eventually Superior Court guilty or not apps. Think of all the admin costs it would save, leaving taxpayers guilt free! Or not. Small towns make big romances. Yes, it’s true; there really are good binges. In the last couple of days I’ve made soy burgers from whole soybeans, split pea soup (not from a can) and whole wheat bread and pumpkin pie from my own home grown pumpkins. I’ve been running out into my California garden to retrieve fresh purple cabbage and green leaf lettuce for raw salad. Is it any wonder that I feel great? 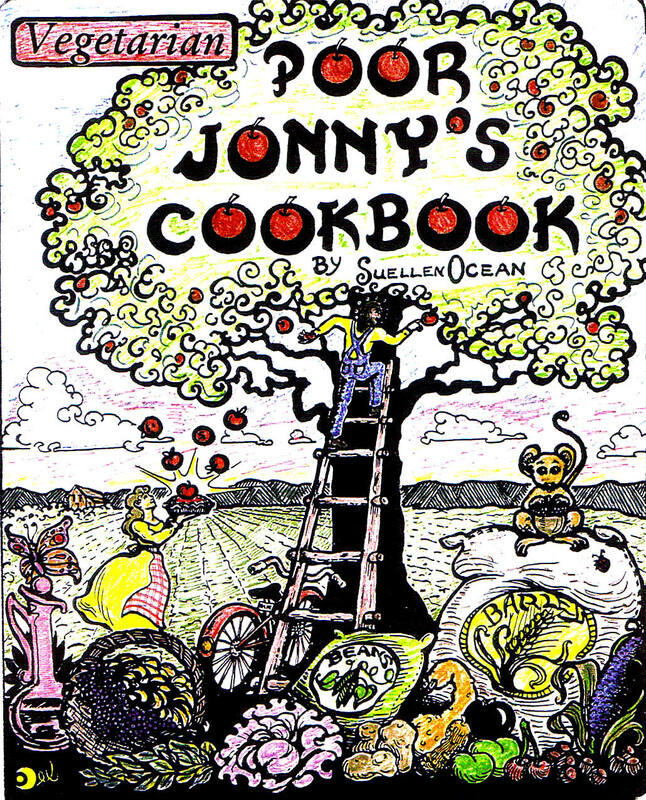 A cookbook for poor people, rich people, students, starving artists, all people. Yesterday I took my dog to a clinic for a rabies shot. There was a long line of dogs waiting their turn. One chubby poodle mix could have fit into my purse if he wasn’t so fat. That he was tethered to a jiggling female, same size, same breed but different disposition added to the cartoonish scene. “These dogs are gonna kill me…” I imagined him thinking, “they’re gonna eat me alive” he seemed to whimper louder and louder, while his owner groaned and pulled tighter on the leash. The tighter she pulled the more the poodle turned round and round, creating a twisted mess with the leach of his calmer counterpart. No matter how hard his owner tried to calm him, he quivered, shook and whined louder than any large dog waiting in line. “If I could, I’d take him to the pound,” the owner vented. The little poodle was definitely cowardly compared to the stalwart dogs that patiently waited their turn. Considering how vulnerable the poor poodle was on the end of the leach surrounded by big dogs that could easily take his life, his poodle panic was justified. I grow comfortable knowing the poor poodle is probably back home, curled on the couch, while the owner coddles him, the other poodle rolling her eyes. Small town guys make big time romances. My mother’s bathroom had a great mirror; made me and the six other women in the family look ten pounds thinner. I hadn’t known it worked for others until I mentioned it to my nieces. Before that, I had wishfully thought I was a little slimmer. We still laugh about that mirror. Some movie theaters have bad mirrors, they make one look ten pounds heavier and if there’s bad lighting … well … ask an actor what lighting will do for one’s looks. People are like mirrors too. Some are good mirrors, others are not. Sometimes those who are bad mirrors are favorites of ours. What to do? Maybe it’s the lighting. Try shining a little brighter when around those bad mirror acquaintances. As for movie theatre mirrors? Don’t look? 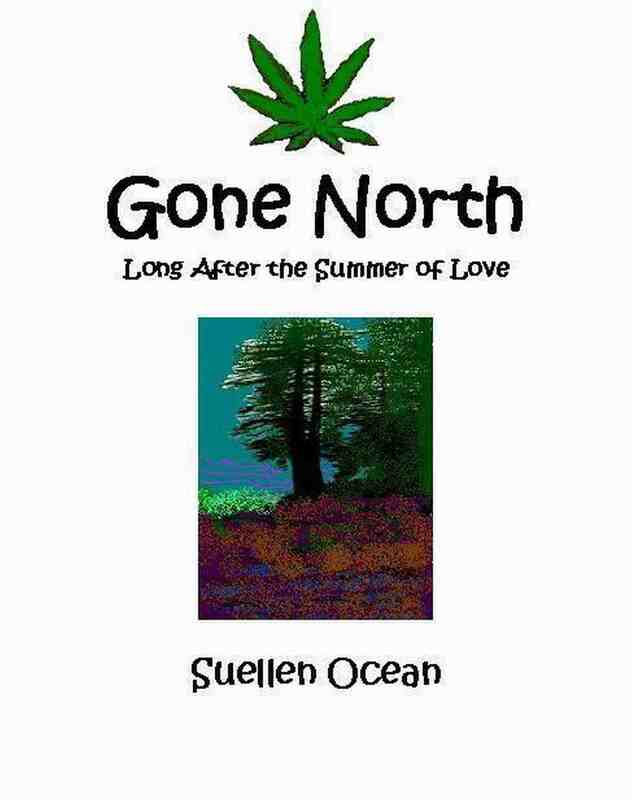 After the summer of love.